2013-05-05 While hiking near French Lake, I heard some movement in the brush next to the trail. 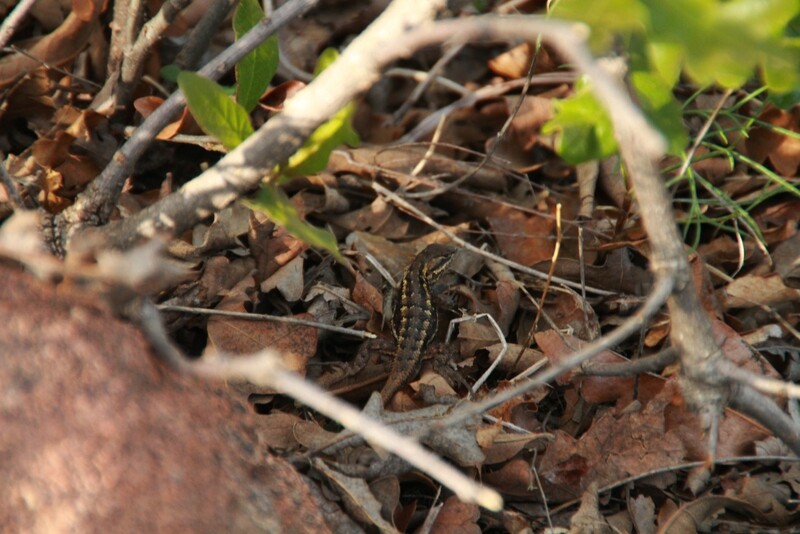 I looked and could just barely make out this eastern fence lizard. Wichita Mountain Wildlife Refuge, Oklahoma.